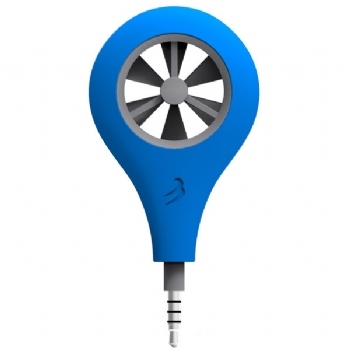 The WeatherFlow Wind Meter works with iPhone, iPad, iPod, and all major Android devices. 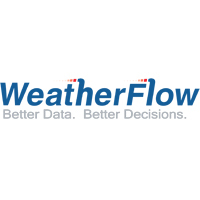 The WeatherFlow Wind Meter is the first of its kind by a US-based manufacturer, having been engineered here then calibrated at the University of Florida's Aerospace Engineering Department. 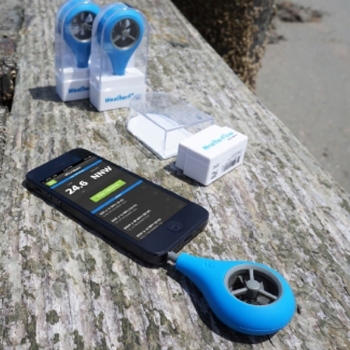 You know WeatherFlow from iKitesurf.com, iWindsurf.com, Wind Alert, SailFlow, and FishWeather. Needless to say, they've been around, they know windmeters, and this revolutionary product is no exception to their standard to view and share live-action weather. 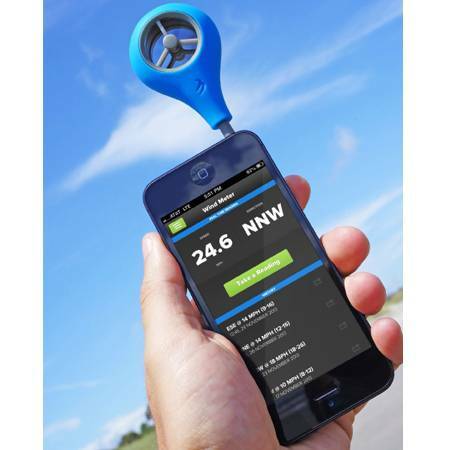 The Wind Meter works with a FREE App for your mobile iOS or Android devices recording wind speed (average, lull, and gusts), wind direction, and location. Precision readings (+/- 0.5% or 0.1m/s at up to 15 degrees off axis) in m/s, mph, knots, km/h, and beaufort scales with range from 2 mph to 125 mph. 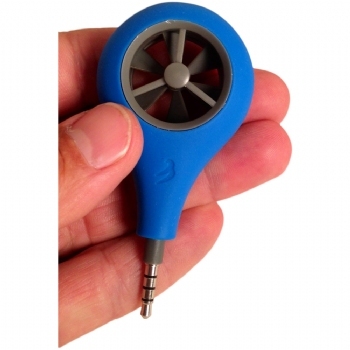 Not only does the WeatherFlow Wind Meter come in rugged eco-friendly packaging that doubles as a handy storage case, it fits in your pocket when not in use. When attached, you can share on-site reports with WeatherFlow, Instagram, Vine, Twitter, SMS, Email, or Facebook. Finally not only do I have a reason to have my gf let me use her phone on the beach I now know the wind speed with out sacrificing my own. Easy to use, let your crew know what's up with the wind to ditch work.